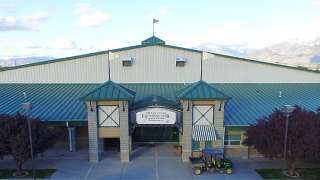 The communities of South Jordan City and the City of Sandy can provide you with the goods and services you may need when visiting the Equestrian Park, from vet services to grocery stores. If you have additional questions, please call our office weekdays between 8:00 a.m. and 5:00 p.m. at 385-468-1600. Waterpark, Dimecade, 3-D Laser Tag, Roller skating, etc.